Please note: Brandon eyepieces are threaded for filters, but Brandon uses a proprietary filter thread and not the industry-standard M28.5x0.6 filter thread. Brandon sells 1.25" color and neutral density (ND) filters that can be directly threaded to Brandon eyepieces. 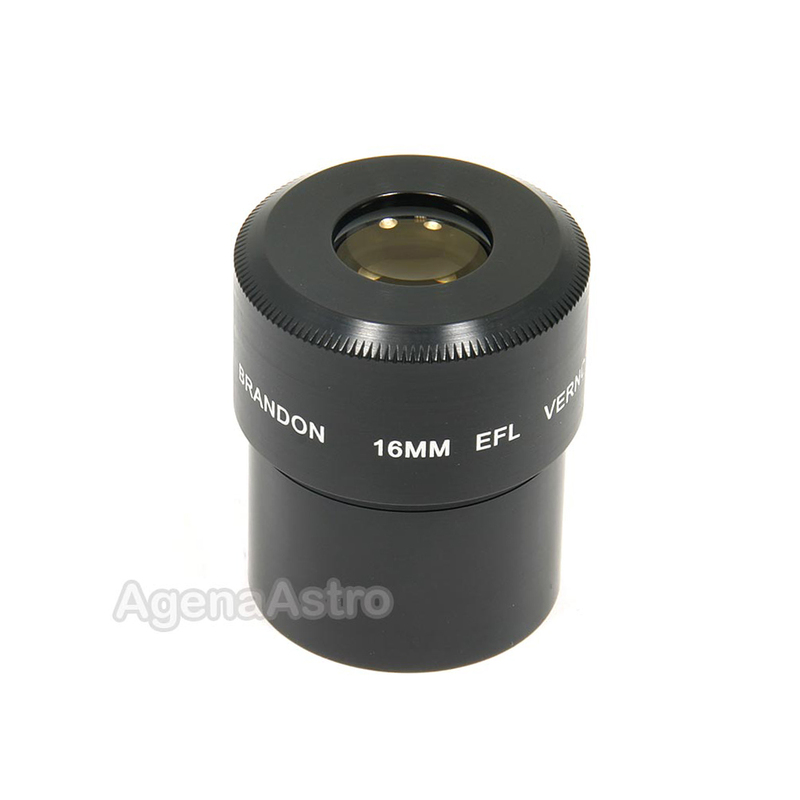 However, the use of other non-Brandon filters on these eyepieces requires the purchase of an optional thread conversion adapter. The weather has been impossible since receiving this, but I've been able to test it against my other Brandons and various other similar eyepieces. I use these on Celestron SCTs, as well as a Tele Vue 85 with great results. The color rendition is accurate, the fine detail, clarity and contrast are superb. I have no problem at all with eye relief--with or without glasses. The light weight, simple design is a joy to use. They are not inexpensive, but they are worth the money to me-as I have been using Brandons since the early 1970s when I got my first one. I still have several vintage ones to compare new ones to. The new ones are just as good optically as my much used old ones. The only thing I have noticed is that my originals are parfocal across the range of focal lengths and the new ones are not. Some of the new ones I have gotten are close to each other, but others are not very close at all. This is not a big issue with me since I will fine tune my focus with changing eyepieces anyway, but some people may not be impressed with this, given that they are claimed to be parfocal. That has been my only surprise; and all the other qualities far outweigh this issue, at least for me.